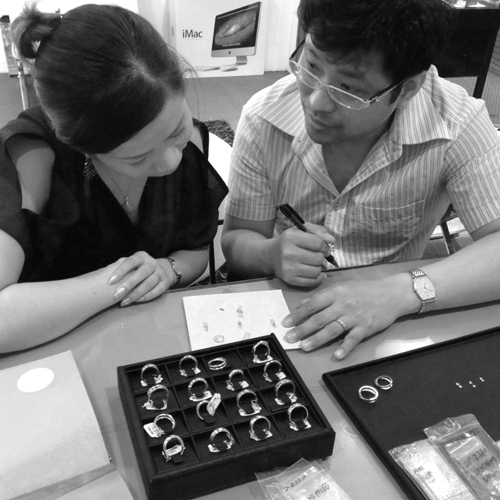 For her, we designed a double-band ring with 2 Diamonds. Each band was made slim to suit her slender fingers, and the Diamonds were selected in proportion to the ring bands. 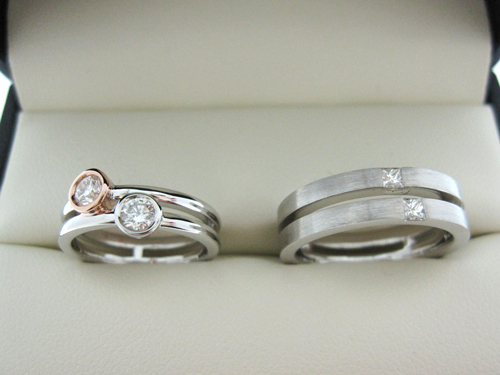 We added a small 2-tone detail by encasing one of the Diamonds in Rose Gold, while the rest of the ring remained White. 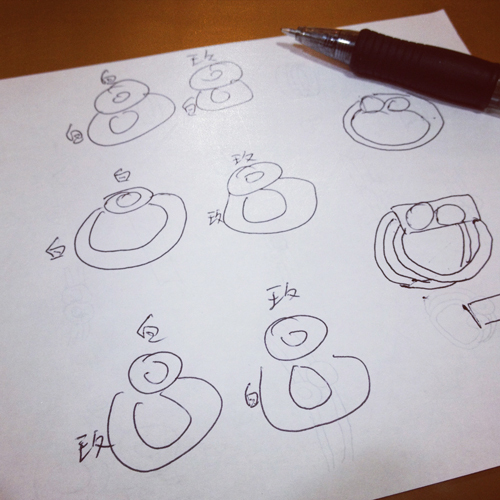 Customers sketching options in order to figure out the best combination for the 2-tone detailing. Following her design, we then moved onto his ring, which borrows the same sentiment but in a more masculine version. The result; A matte double-band ring with embedded Square Diamonds. Double band and Double Diamond for Double Happiness. They revealed to us that they are planning to get each other rings for every second wedding anniversary. Isn’t that sweet?